Long Beach Pizza Place or Convert to Your Concept - Low Rent! 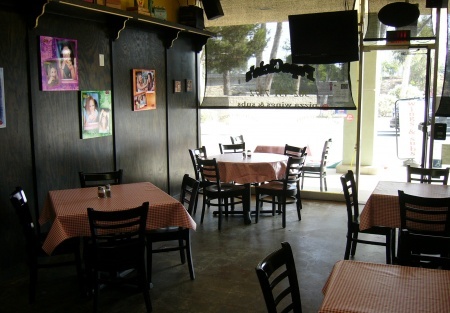 Selling Restaurants presents this Pizzeria close to freeways, high-income neighborhoods, schools, and shopping. This is being offered as an opportunity to bring your very own food concept to this restaurant or continue to operate it as a Pizzeria. With hood systems, grill/burners, oven, freezer/refrigerator, storage, sinks, prep tables, etc. just a few years old, this restaurant is nearly turn key for just about any food concept. If your looking for a location for your concept and do not want to spend much money to start offering your food then this is a great fit. The owner built this restaurant which opened its doors to the public a few years ago. The dining area presently seats 18, but the seller states legally seats 36 and the landlord allows outdoor seating for 8. Rest assure the kitchen is everything you need and more with 2 hood systems, a Double Bay �Blodgett� Pizza Oven which was $9,000, a 6 burner range, oven, grill, deep fryer, grease interceptor, 6 door refrigerator, freezer, and much more. The current owner personally oversaw every aspect during the restaurant�s construction from floor to ceiling, which was formerly a retail space so you have the assurance this restaurant is still like �new.� All furniture, fixtures, and equipment were purchased by the current owner brand new and have been well maintained. What are you waiting for? Visit this restaurant today! Take the next step and select one of the bright orange buttons below. Then select the "New registration" Button. When you register, you get the name and address right on-line - no paper or faxes - you'll also get priority notification of our new listings in the future, prior to the general public, giving you the best chance to �scoop in� the best opportunities. There are also more photos available to our registered buyers.This is a Paramount Restaurant Brokers, Inc. DBA SellingRestaurants.com listing. A variety of equipment...Hood systems, 6 burner range, oven, grease trap, Etc.